Restaurant at Stoke by Nayland Hotel, Golf and Spa01206 262836workRestaurantIf you are looking for amazing dining, you'll be absolutely spoiled for choice at Stoke by Nayland Hotel! We have four different areas that you are encouraged to try - each offers a slightly different atmosphere and a different variety of excellently prepared dishes to suit any taste. When you visit the Colchester area, spoil yourself with fine dining in our 2 AA Rosette Lakes Restaurant. For down-to-earth, good, hearty food our Clubhouse is your best bet! While the Lounge Bar and Peake Bistro provide lighter bites - the former with a lovely open fire and the latter with a view of our 18 metre swimming pool. With so many options at your fingertips, we are sure that you won't go hungry. If you are looking for amazing dining, you'll be absolutely spoiled for choice at Stoke by Nayland Hotel! We have four different areas that you are encouraged to try - each offers a slightly different atmosphere and a different variety of excellently prepared dishes to suit any taste. Our menus are developed from locally sourced ingredients by our Executive Head Chef Alan Paton and his talented team. 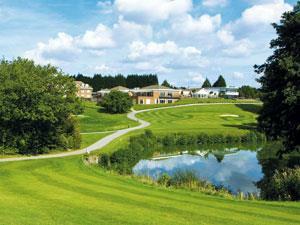 We welcome hotel residents, our golf and leisure members and casual diners alike.